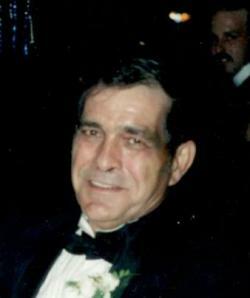 Roger Joseph St. Peter of Craig's Flat, NB, passed away peacefully at Hotel Dieu St. Joseph hospital on January 12, 2019. Roger was born on May 28, 1944 in Ste-Anne-de-Madawaska, NB. He was the son of the late Edmond and Cecile (Martin) St-Pierre. Roger leaves behind his daughter, Tracy Rossignol (Michael) of Craig's Flat, NB; his grandson, Kolby Rossignol of Craig's Flat, NB; his sisters, Carmelle Murch (Rick) of Lower Kintore, NB, Berna Davenport (Jim) of Bangor, ME, Gaetane Fournier of Craig's Flat, NB, Rejeanne Fournier (John) of Perth-Andover, NB, Diane Fournier (James) of Kilburn, NB; his brothers, Bertrand St. Peter of Saint John, NB, Donald St. Peter of Coles Island, NB, Hermel St. Peter of Saint John, NB. Roger was predeceased by his parents; his wife, Edwina St. Peter (Fournier); his sister, Ida Francis; and his brother, Norman St. Peter. Funeral service was held on Wednesday, January 16, 2019 at 11 am from St. Mary of the Angels Catholic Church. Father Gilbert Doddatto celebrated. Interment will be in the parish cemetery at a later date. Music for the service was by organist Isabel Morton. The eulogy was given Roger's daughter, Tracy Rossignol. The cross bearer was Christian Michaud. Pallbearers were all members of the Southern Victoria High School Boy's Hockey Team: Kolby Rossignol, Patrick Ayotte, Cade Savoy, Ethan Riddell, Mark Swazey, Isaiah Fournier, and Clayton Sullivan.